Summer is upon us…and that means an abundance of berries! A lovely healthy treat in the afternoon is a perfect way to relax without eating something that will make us guilty hours or minutes later. 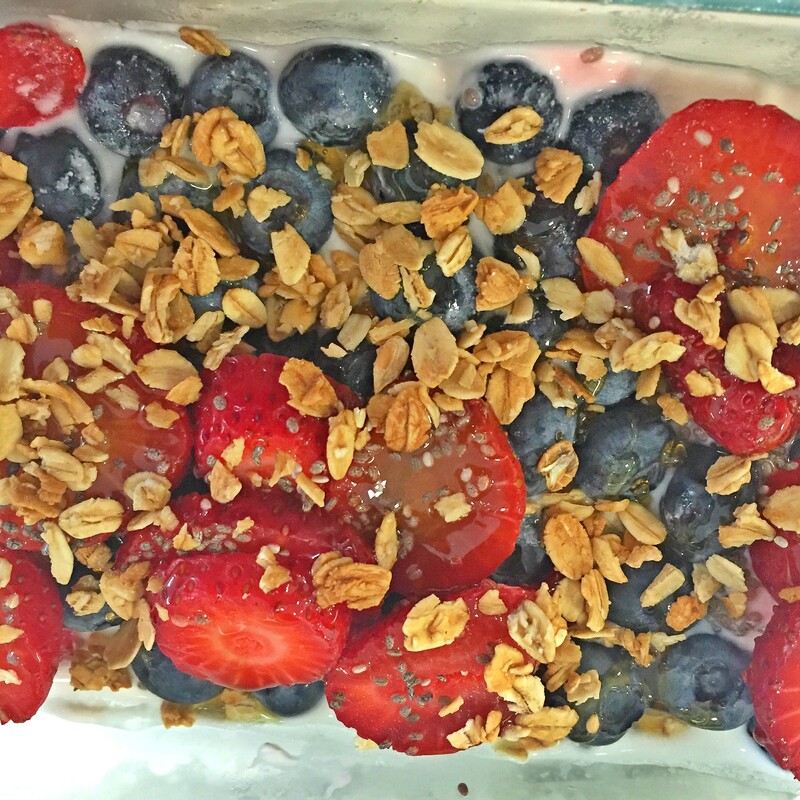 Here is a simple greek yogurt dish for that afternoon snack craving. 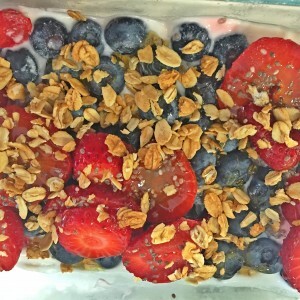 Layer the ingredients any way you like and top with a drizzle of honey and granola. Sprinkle with chia seeds for an extra boost of protein and fiber.